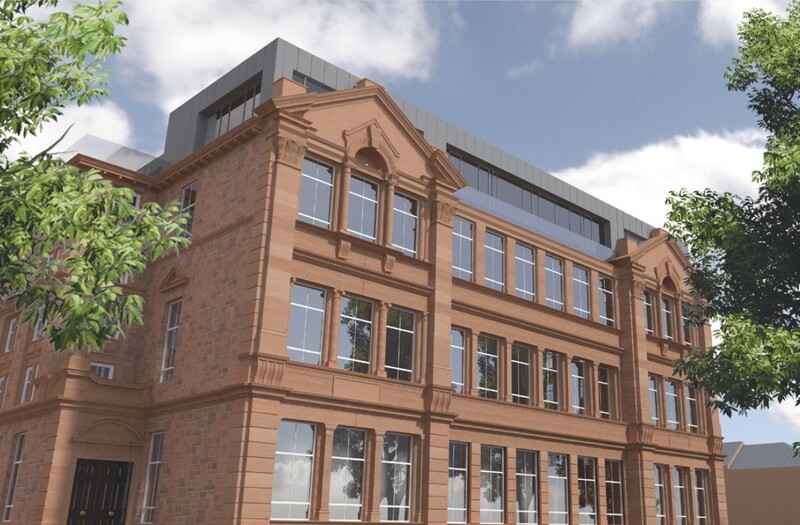 EMA Architects are to refurbish and extend the C-listed Balshagray Public School in Broomhill, Glasgow, on behalf of Kelvin properties to form 73 homes. 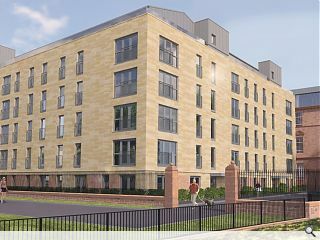 Situated on a prominent site to the north of the Clydeside Expressway the scheme will entail demolition of a swimming pool and janitor’s cottage to allow formation of a six storey sandstone clad block of 28 flats. 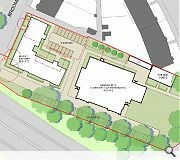 The main school itself will be retained together with railings and boundary walls although its triple-pitched slate roof will be removed to allow insertion of a zinc penthouse extension. 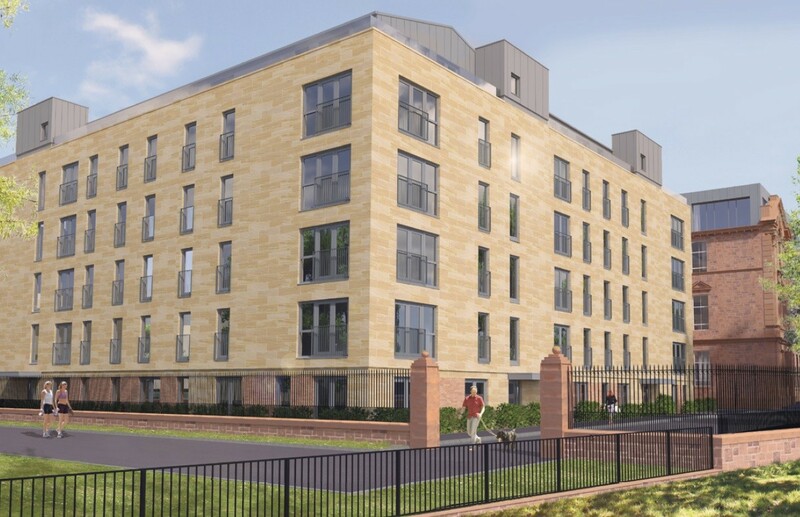 Here the 33 flats available will incorporate mezzanine spaces to take advantage of 5m floor to ceiling heights with lift access built in the central hall. Commenting on their design concept EMA said: “The design proposes a new building on the western edge which will reinforce the streetscape along Broomhill Avenue and create a strong peripheral urban block. 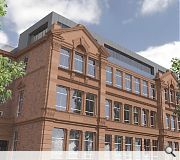 The new building will also respect the setting of the listed building. 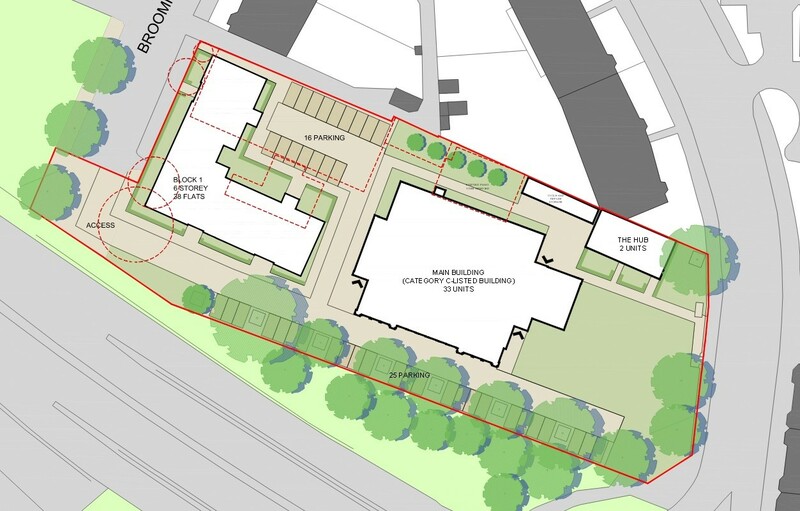 A Hub block within the grounds will also be retained to form an additional two homes. What's with the industrial sheds on top of the newbuild element? Looks great! Good to see it back in use. ???? Hm, well at least it'll be put into use. But that 'penthouse' element...the least they could do is change the colour to black, it would be a tad more tasteful.